Pair with: game, sliced, cured meats, grilled meat and aged cheeseIt is recommended that the wine be served at a temperature of 18°C/64°F. A reality that mirrors devotedness to its land in the form and structure. Azienda Zidarich was founded in 1988. It is located in a beautiful and unique area in the heart of the Triest Karst, immersed in the vineyards and the peculiar vegetation of Karst region. With strong and innovative spirit, new ideas, strategies and great determination Benjamin Zidarich revolutionised his father's company and expanded the prior half hectare of vineyards giving priority to autochthon varieties. Right from the start the new Azienda Zidarich found itself in front of a true challenge, represented by the landscape, covered with stone and characterized by scarce quantity of red soil that demands continuous efforts and considerable amount of resources. Year after year, he planted new vines and expanded the vineyards up to 8 hectares, whilst the production reached 20.000 bottles per year. 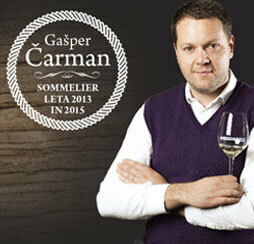 His wines are more and more appreciated at national and international level.